Seven individuals have served as President during SHARP’s first 25 years and here they reflect on SHARP, their presidency, and the Society’s future. As a graduate student and a young professor, I never even thought of adopting the label “book historian”. Which of us did, back in the 1970s? But as a scholar, it soon became apparent that I could not understand the history of literature and ideas without knowing something about authors, readers, and publishers. And that would require building a new academic discipline from the ground up, with all the apparatus of graduate courses, scholarly societies, conferences, journals, and monograph series. Given that I only really flourish in organizations that I participate in creating, the prospect of opening up a new academic frontier was deeply exciting, starting with the first organizational meeting of SHARP in 1991. And the thrill has never worn off. In those early years, working with Simon Eliot, Patrick Leary, and a host of eager volunteers was a wonderful intellectual adventure, largely because we had to invent everything. And at our first conference in 1993, I saw literary scholars, historians, librarians, and publishing professionals all mixing amicably and conversing creatively. That’s when I knew that SHARP was going to work. I also realized that SHARP had to evolve. Therefore I wrote into the first SHARP constitution term limits for the President, ensuring that I would in due course be pushed out and make way for new leadership. So I cannot say what SHARP will accomplish over the next 25 years, except that a new generation will continue to invent. New modes of scholarship that we can now scarcely imagine will emerge, and I for one will continue to be fascinated by it all. Jonathan Rose is William R. Kenan Professor of History at Drew University. He was the founding president of SHARP and continues to serve as an editor of Book History. His book The Intellectual Life of the British Working Classes (2nd ed., 2010) won the Longman-History Today Historical Book of the Year Prize, the American Philosophical Society Jacques Barzun Prize in Cultural History, the British Council Prize of the North American Conference on British Studies, the SHARP Book History Prize, and the New Jersey Council for the Humanities Book Prize. His other publications include The Edwardian Temperament, The Holocaust and the Book: Destruction and Preservation, and The Literary Churchill: Writer, Reader, Actor (winner of the New Jersey Council for the Humanities Book Award for Scholarly Humanities Non-Fiction). With Simon Eliot, he will soon publish a second expanded edition of A Companion to the History of the Book. He is now editing (with Mary Hammond) The Edinburgh History of Reading. In January 2018 Oxford University Press will publish his latest book, Readers’ Liberation. Brief reminiscence In 1985, after a conference in Oxford, Ian Willison and I set up Book Trade History Group. The BTHG was quite successful and, although UK-based, it did have various members from other countries. However, book history is such an international subject that we knew we needed something bigger and broader. Sometime in late 1990 or early 1991 Jonathan Rose and I established email contact, and rapidly agreed on a possible approach. This we proposed at a conference at Santa Cruz in California in the summer of 1991. All those in attendance approved, and Jonathan, Patrick Leary, and I spent the next two years setting up what became SHARP. Brief reflection Any time before about 2004 I must have known two-thirds of the people at any SHARP conference either directly or by their work. Ten years later I knew, perhaps, only about ten per cent. And most of the younger people there hadn’t a clue who I was, and why on earth should they? This is a striking indication of the way in which SHARP has maintained its youthfulness and its vigour. It attracts lots of young postgraduates, and that is tremendously healthy. This is one of the factors that makes SHARP’s conferences distinctly different from those of other scholarly societies. Another is that its members are not exclusively from academia: we have people from the world of publishing and literary agency, from technology, and from the communications industries. This means that SHARP’s feet remain firmly on the ground. Brief suggestion It is time for SHARP to take a serious international scholarly initiative and develop a major research project with global reach. What about the national and international trade in educational books, or science books? Get an agreed set of questions, an agreed set of methodologies, and some standard software to be used by all. Set up a series of national project groups that would then seek funding in their home countries. Then ensure that SHARP continued to coordinate those that made successful bids, and get each national project to report back each in a conference plenary session. These reports, and all other feedback from the projects, would be featured on SHARP Web. Simon Eliot is Professor of the History of the Book at the School of Advanced Study, University of London. He has published on quantitative book history, publishing history, history of lighting, and library history. He was the founding director of the London Rare Books School. 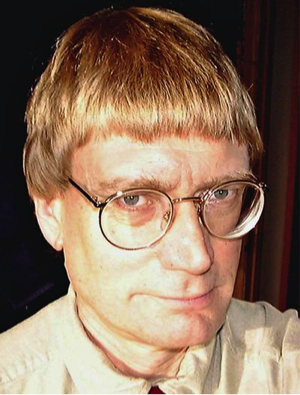 He is the founding co-director of the Reading Experience Database (RED), co-editor of the journal Publishing History, and is General Editor of the new four-volume History of Oxford University Press (2013-17). He is currently directing a large-scale project on the communication history of the Ministry of Information 1939-46. My tenure as president of SHARP was preceded by two years as director of publications (1995-97)—during which we decided to publish our journal, Book History—and by three years as vice president under Simon Eliot. I was involved with the organization from its earliest years and was gratified to see its rapid success. 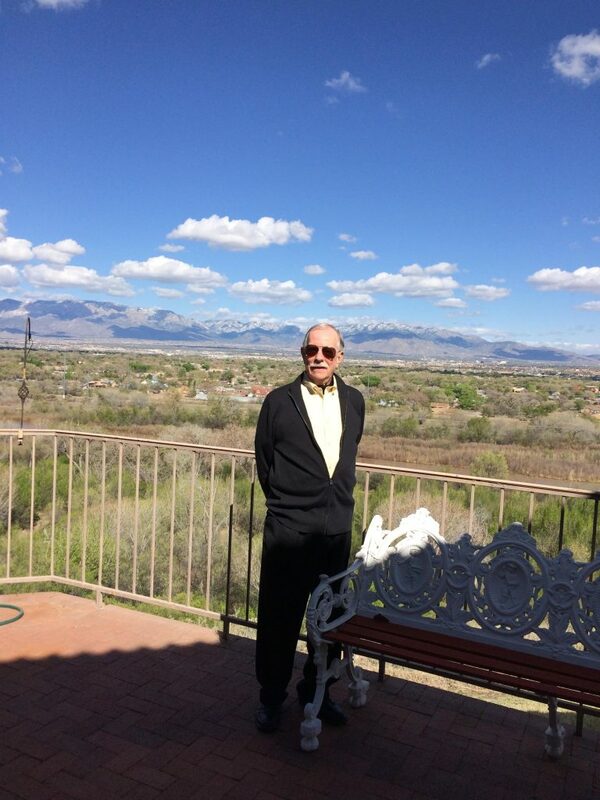 During my two years as president, we had memorable conferences in Claremont, California, and in Lyon, France—and an adjunct meeting in Sydney, Australia. I remember these conferences as being typical of our get-togethers, with much lively interchange of ideas and friendly scholarly discourse. We truly do have excellent conferences! In the years since it’s been a pleasure to watch SHARP continue to grow, to see Book History endure and develop, and to see the many conferences all over the world that follow the example we have set. Many of the organizations to which I’ve belonged during my career seem to be disappearing or just hanging on, with an aging membership and dwindling resources. SHARP, by contrast, has a youngish and vigorous cross-disciplinary membership, people who are active in archival study and keen to publish what they have found. During the next twenty-five years I’d like to see the History of the Book become embedded in graduate programs all over the world. It’s a capacious and messy field, always expanding, open to people from both within and without the world of academics, to teachers and students and publishers and librarians and many others. Long may we flourish in our endeavors! James L. W. West III is Edwin Erle Sparks Professor of English at Pennsylvania State University. He is a biographer, book historian, and scholarly editor. West is the author of American Authors and the Literary Marketplace (1988), William Styron: A Life (1998) and The Perfect Hour: The Romance of F. Scott Fitzgerald and Ginevra King (2005). His most recent book is a collection of essays called Making the Archives Talk (2011). West has held fellowships from the Guggenheim Foundation, the National Humanities Center, and the National Endowment for the Humanities. He has had Fulbright appointments at Cambridge University and at the Université de Liège and has been a visiting fellow at the American Academy in Rome. West is the General Editor of the Cambridge Edition of the Works of F. Scott Fitzgerald. I attended SHARP’s organizational meeting at the CUNY Graduate Center out of curiosity. I had moved from editorial positions in scholarly publishing to teaching future scholarly editors at Arizona State University in a graduate program that I had founded. I lived in a history department, and to fit in I had earned a certificate in documentary editing. Book history—whatever that turned out to be—seemed like another natural connection. And so it proved. My participation in SHARP altered the way I taught and the way my students learned to think. Because they came from a variety of disciplines—history, literature, law, art history, and the sciences—a historical perspective didn’t come naturally to all of them. But all of them found it useful. In addition to the intellectual depth they gained, I like to think that it made their professional lives more productive by preventing them from repeating the kinds of mistakes publishers had made in earlier times of technological and market change. At a minimum, it encouraged them to view change as a constant—not something that suddenly appeared at the turn of the 21st century. SHARP also influenced my own intellectual development. I had been thinking for a long time about how scholarship enters the world of “general readers,” and the organization’s founding principle—enunciated in its name—gave me a way to do that. The result was Expanding the American Mind: Books and the Popularization of Knowledge. I retired from teaching in 2006, only to return to work part-time, first as an editor at the Adams Papers, where I made sure that Louisa Catherine Adams’s reading was properly annotated in our edition of her diaries and autobiographical writings. My latest work has been an examination of the meanings of home in my own New England town. Book history enters into the chapters on Joshua Slocum, author of the best-selling (and still in print) Sailing Alone Around the World; Joseph Bates, a founder of the Adventist Church and author of many books and tracts; and Manjiro Nakahama, the first Japanese person to live in the United States, whose “testimony” exists in a handful of illustrated manuscripts. House Stories will be published in fall 2017. In the meantime, I’m working on similar books about houses throughout Massachusetts. Chapters that incorporate book history will include those on Edward Gorey, Mary Baker Eddy, Edith Wharton, Herman Melville, the Alcotts, and others yet to be chosen. At one point during my term as president-elect or president, things got a bit rough—to the point where I dreamed about SHARP. The dream has faded, but it involved a conversation with Jonathan Rose in which I proposed establishing another organization, with the acronym DULL. Fortunately dreams rarely come true. And, of course, SHARP has led to some wonderful memories: being introduced as “Madame la Présidente” in Lyons; the never-to-be-forgotten banquet in Mainz; disaster averted when we found a new home for the Los Angeles meeting; surviving July in Washington; and a spectacular visit to Wellington. SHARP has also created lasting friendships too numerous to list. For all of us, a job well done. After working as an editor for university presses and textbook companies, Beth Luey founded the Scholarly Publishing Program at Arizona State University and directed the program for more than twenty-five years. Graduates of the program hold editorial posts at university presses, journals, professional associations, trade houses, and textbook houses across the country. 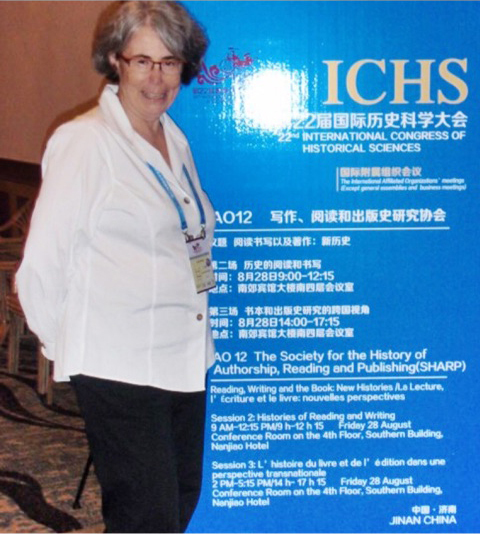 She has been president of the Association for Documentary Editing, the International Association for Publishing Education, and the Society for the History of Authorship, Reading, and Publishing. She has served on the board of the Society for Scholarly Publishing and has served as the editor of the book series of the American Association for State and Local History. She has received numerous awards for teaching and for distinguished professional service. She holds the B.A. and A.M. from Harvard University. She is the author of Handbook for Academic Authors, first published by Cambridge University Press in 1987 and now in its fifth edition, and of Revising Your Dissertation: Advice from Leading Editors, published in a new edition by the University of California Press in 2008. 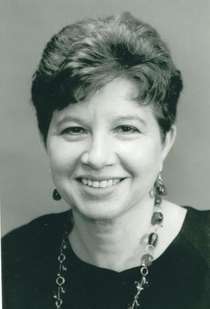 She has been the editor of Publishing Research Quarterly and Documentary Editing, and has served as a consulting editor or editorial board member for several other journals. By 2005 SHARP had outgrown its founding documents. I asked Leslie Howsam to chair a committee to propose changes to the constitution, making SHARP more democratic, flexible, responsive, and fiscally responsible, and Beth Luey to chair a committee to design a Handbook for SHARP annual conferences. Those committees did commendable work, and both products were adopted by the membership in succeeding years. We also consolidated all publishing and membership matters with the journals division of the Johns Hopkins University Press, a move that freed both our membership secretary, Eleanor Shevlin, and our treasurer, Jim Wald, to attend to policy and communications. With the assistance of the Press, Eleanor was able to design and interpret a survey of members that helped successive officers to craft programs and policies to meet the diverse interests of SHARPists. Jim Wald used the information generated by the Press to make his annual reports to the US Treasury and to establish accounting procedures that assured foundations and private donors that their gifts would be properly administered. These were both major steps forward. Toward the end of my tenure the need to upgrade our web presence became crucial: Ian Gadd accepted responsibility for contracting and directing the design of the new SHARP web that was premiered at Toronto in 2009. But it took several more years to settle all the features into their present shape. SHARP annual conferences were held (1) in Halifax (2005)–memorable for many things, including the midnight release of a new installment of the Harry Potter books that had SHARPists and readers of all ages standing in line until the clock struck twelve; (2) the Hague in 2006, where among events and exhibitions at many libraries the organizers arranged for a moving afternoon visit to the Peace Palace; (3) Minneapolis in 2007, opened by Adrian Johns in a plenary speech about the conference’s theme of Open the Book, Open the Mind; (4) Oxford Brookes (2008)–with a memorable dinner at Magdalen College on a dark and stormy night; and (5) our first bi-lingual annual conference in a sultry 2009 summer at Toronto’s St. Michael’s College, where the impetus, building for some time, to reach out beyond the European- and Anglophone concentration to a more global remit, was fully in evidence. These meetings had some of the highest registrations in SHARP’s history. In addition, the conference in Helsinki for 2010 was approved and the one held much later in Philadelphia (2013) was initiated. 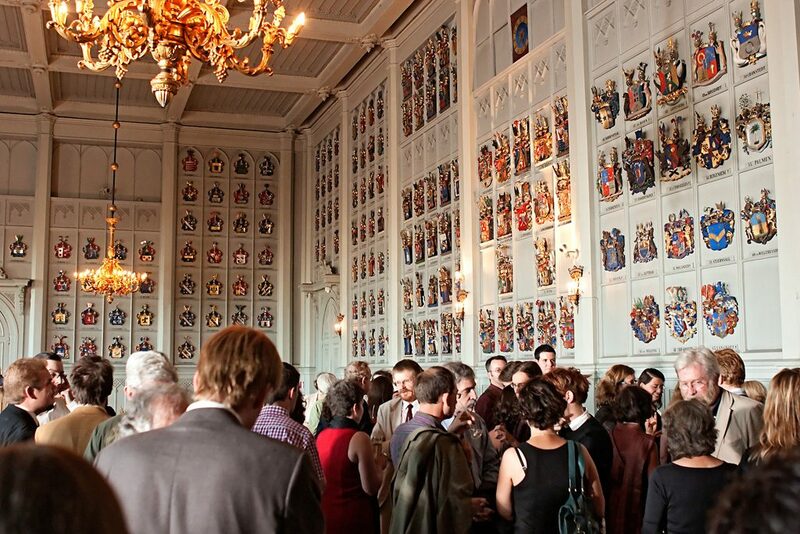 In addition, more focused conferences were held in Kolkata (2006), in both Cape Town and Venice (2007), and in Copenhagen (2008). Throughout my term, SHARP News provided valuable information about other conferences, exhibitions, and authoritative reviews of publications in global book history. In rereading those issues I am struck anew by the comprehensive reach and exemplary scholarship Sydney Shep’s team commanded. The editors of Book History, Jonathan Rose and Ezra Greenspan, turned out a splendid volume each year, and prize committees under the direction of Claire Squires chose DeLong Book History and Book History article awards. And last, but almost most rather than least, Patrick Leary unfailingly edited SHARP-L, day in, day out, with postings that provided essential information about the activities and persons that enrich our scholarly lives. All presidents would, I believe, agree with me that being president is a gift: the occasion for joyful and productive collaboration with an exceptional cohort of colleagues who are devoted contributors to the international organization that Simon Eliot and Jonathan Rose proposed in 1991. Robert L. Patten, the Lynette S. Autrey Professor of Humanities at Rice University, received his B.A. from Swarthmore College in 1960. He went on to earn an M.A. (1962) and Ph.D. (1965) from Princeton University. 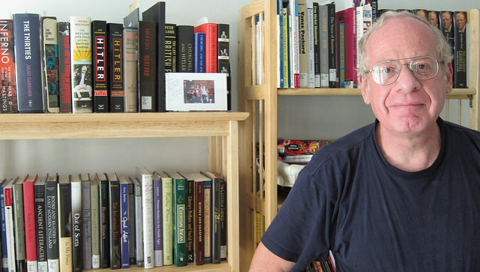 After college, Patten lectured in English at Bryn Mawr College, leaving there in 1969 to take a position as Assistant Professor in the English Department at Rice University, where he became a full professor in 1976. In 1991 and 1992 Patten chaired Rice’s English Department. He was a Fulbright Scholar from 1963 to 1964 and a Guggenheim Fellow in 1980. 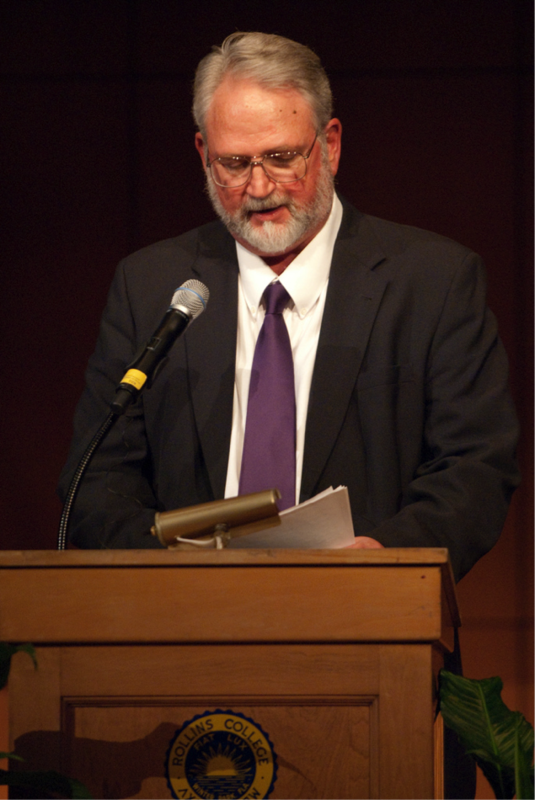 He was also chosen as a Couper Scholar in 2004, served as president of the Rice University Chapter of Phi Beta Kappa from 1991 to 1994 and 1997 to 2002, and chaired the Dickens Society in 1973 and 1974. Patten has served in numerous capacities at Rice University, including the Sallyport Award Committee (1986-87), the Advisory Committee on Parking (1992-94), and the University Review Board (1982-84). He currently is president of the Society for the History of Authorship, Reading, and Publishing. In addition to the definitive biography, George Cruikshank’s Life, Times, and Art (1991, 1992 ), Patten is the author of Charles Dickens and His Publishers (1978), and editor of George Cruikshank: A Revaluation (1974) and Literature in the Marketplace: Nineteenth-Century British Publishing and Reading Practices (1995). He also serves as editor of Studies in English Literature and founded and briefly edited the periodical Dickens Studies Newsletter. My ambition, when I became president of SHARP, was to make it a more international organization. The founders had allowed for a truly global society in the capacious way they drafted the constitution, but I don’t think they fully envisaged what such an organization would look like. In those early days, bringing together book historians in the English-speaking world must have seemed enough of a challenge. Certainly Americans, Britons, New Zealanders, Australians and Canadians vastly outnumbered any other nationality. SHARP stepped out of its Anglo comfort zone, though – as long ago as 2000 when we went to Mainz. But that conference and the one in Lyon in 2004 were conducted entirely in English. French-language papers went on the program not in France but in Canada in 2009 and 2015. Meanwhile we learned that in some venues, the politics of language meant that English-only programs were preferable to making contentious choices about which European languages to highlight. Nevertheless, the conversations during receptions became decidedly polyglot. So yes, we’re now well on the way to achieving that global status, but there is more to be done. During my term as president we held conferences in Helsinki (2010), Washington (2011), Dublin (2012), and Philadelphia (2013) and began negotiations for Antwerp (2014) and Longeuil/Montreal (2015). On each of those occasions, a few hard-core SHARPists (especially those on the Executive Committee and Board) made the journey to countries and cities they had perhaps never expected to visit. But perhaps more important, book historians in each of those places got introduced to the SHARP way of doing the history of the book. (That is, to our organizational culture of collaboration around interdisciplinary and comparative scholarship.) And at the same time, SHARP was introduced to approaches that our largely modern-facing and literary-oriented founders had not envisioned: folklore in Finland, science and technology in Washington, political and cultural conflict in Ireland, and geography in Philadelphia. During my term, we also initiated the translation program that has developed into a reality during Ian Gadd’s presidency, and we worked with colleagues in Brisbane (2011), Nancy (2012), Le Mans, and Rio de Janeiro (both 2013) who organized ‘focused’ or ‘regional’ conferences under the SHARP aegis. Being a global society is not only about language and geography; it also has to do with SHARP taking its place among other international organizations. Our membership in the International Congress of the Historical Sciences (ICHS, but often known by its French acronym, CISH) was first proposed during Bob Patten’s term as President. Ian Willison and Jean-Yves Mollier, along with Martyn Lyons, were the first to argue that there really should be book historians at the quinquennial meeting of ICHS/CISH. Jean-Yves and Martyn organized a session on the fringes of CISH at Sydney in 2005; in 2010 we were formally accepted as an Affiliated International Organization (AIO) at Amsterdam (and were invited to organize sessions in both English and French at that conference). In 2015 we went to Jinan in China with our own AIO-sponsored sessions; that was an unforgettable experience and an opportunity to showcase SHARPist Sinologists and welcome new members from Asia. We’ve just learned that in 2020 there will be a SHARP-sponsored session – on the Publishing of History – in the very competitive main CHS/CISH program as well as the AIO sessions we will organize. Over the past ten years or so, SHARP has travelled a good deal, and travel broadens the mind. But the nature of ‘the book’ is that it travels across cultures, languages, disciplinary approaches, and historical periods, taking different shapes in various cultures. SHARPists are learning how to capture that complexity. We still have a long way to go, but with the leadership of the incoming Sydney Shep administration, we are in very good hands. Born in Toronto; PhD in Modern British History from York University in 1989, with a dissertation on the publishing and printing operations of the British and Foreign Bible Society (revised version later published by CUP as Cheap Bibles). Appointed to the faculty at University of Windsor in 1993 and taught there till retirement in 2014; wrote or edited 6 books including Old Books & New Histories and Cambridge Companion to the History of the Book. Board member of SHARP 1997-2005; VP 2005-9; President 2009-13. Elected Fellow of the Royal Society of Canada in 2015.